Hello and welcome everyone to our Inspireink monthly blog hop for July. I decided on heat embossing (rather than dry embossing) and went with a very clean and simple colourway of silver and white. 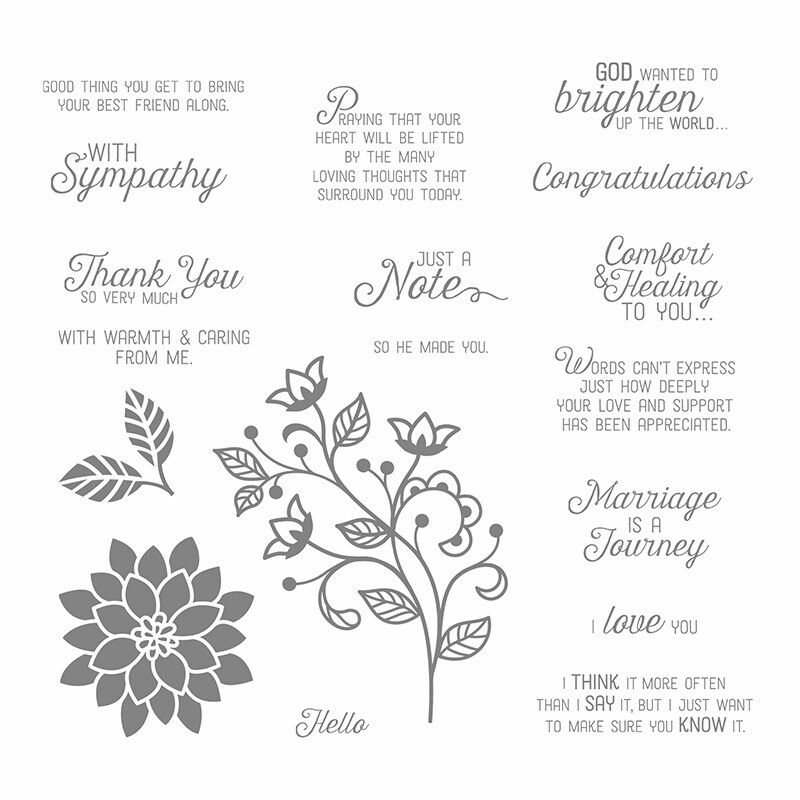 That floral flourish is the main stamp in the fabulous "Flourishing Phrases" stamp set - such a versatile stamp set with so many elements and some great sentiments. There is also a fantastic die set which goes with the stamp set and I've also used one of those - the border die - on my card. How did I make it? 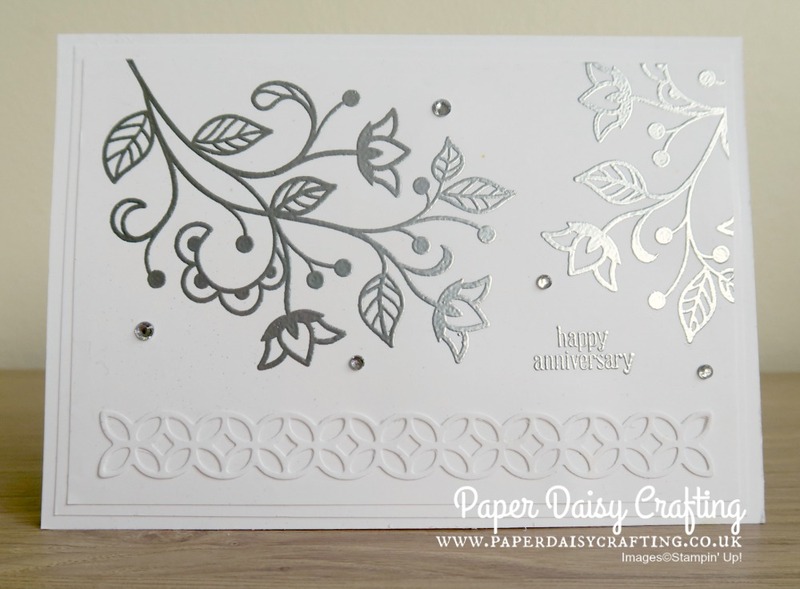 I have taken a panel of Whisper White card stock and stamped the flourish twice with Versamark ink, then sprinkled Silver embossing powder over the image and then heated it - never fails to amaze me how that tranforms something so dull into something so shiny! 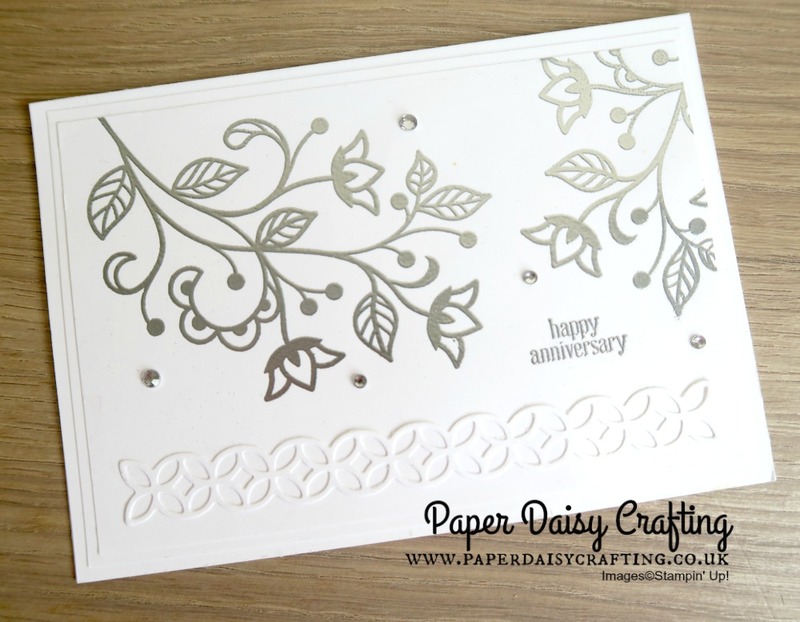 I did the same with the "Happy Anniversary" stamp from "Itty Bitty Greetings". Added the die cut border then mounted the panel on another Whisper White panel and then onto a Whisper White card blank. A sprinkle of rhinestones and I was done. 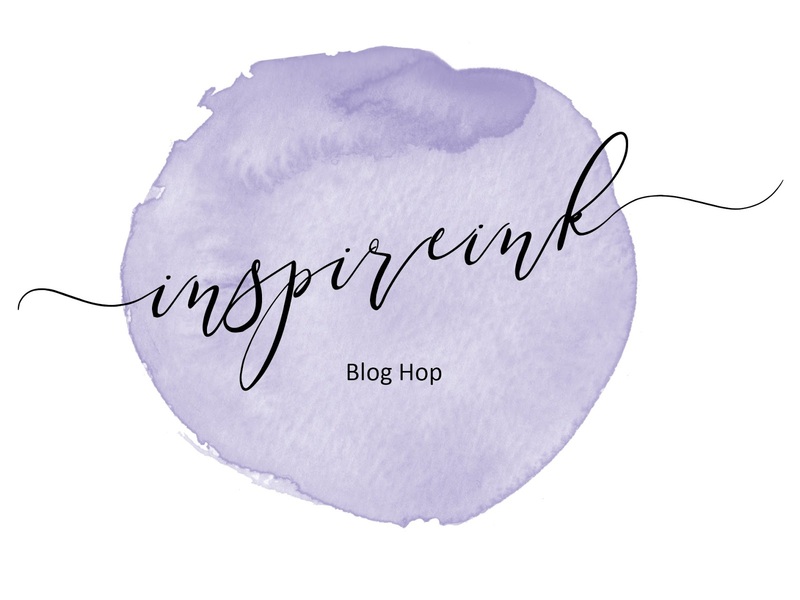 So now its time to carry on hopping to have a peek at Keren's fantastic project - either click HERE or on the Next button. 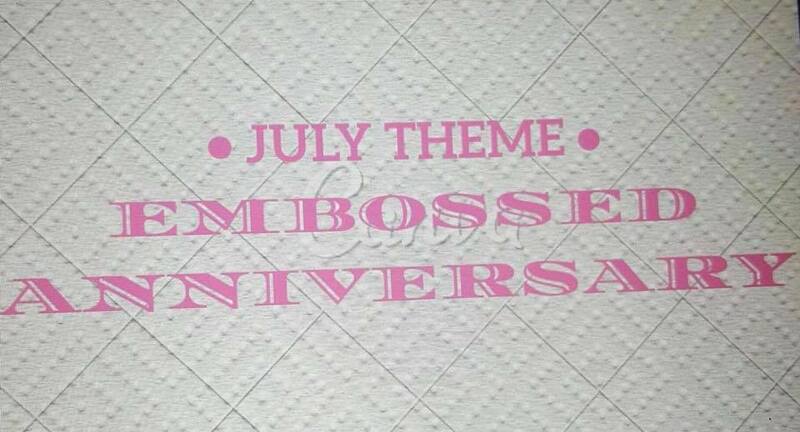 Just a quick reminder that there's not now many days left to take advantage of the fantastic offers that end on July 31st. Click HERE to find out more about joining my team and getting £193 worth of product for only £99. Or HERE to read about our brilliant Buy 3 Get 1 Free on patterned paper packs. And lastly, please remember to use my monthly shopping code when you order online. I'll be closing this off around midday on 31st so please don't miss out!